We Price Match. Talk To Our Wallbed Experts! Are you looking for Murphy beds in San Diego? If so, Wallbeds "n" More is the right choice for you. Our store has a large selection of wall beds, desk beds, bookcase beds and much more to choose from. Our experts will help you throughout the purchasing process and will ensure that you choose a product that will best suit your unique needs. 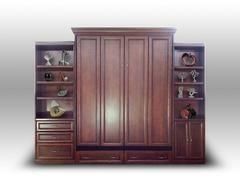 Whether it is Murphy beds or Murphy bed accessories, we have got you covered. We at Wallbeds "n" More will help you to find more livable space with high-quality beds. Our highly skilled professionals strive to offer exceptional customer service and exceed your expectations. Customer satisfaction is our top priority. For more information about our services, call us today at (858) 429-5712 or visit Wallbeds "n" More. We will be there to assist you.